“Among many of the logistical aspects of Britain and Europe split, a major focus of negotiation will likely be the Common Agricultural Policy (CAP), a cornerstone of the European Union that accounts for roughly 40 percent of its budget” (source: Stratfor Report). Implemented to ensure food supplies for Europe, stable and reasonable prices for consumers, as well as fair income for European farmers, the policy was introduced in 1962. Since then, CAP has undergone several changes in order to reduce its cost (from 71% of the EU budget in 1984 to 39% in 2013), to respond to new concerns about the environment, and to also consider rural development in its aims. CAP creation was an early step on the road to European integration and central to the formation of European Common Market. Nowadays, the Common Agricultural Policy prepares its evolution. European member countries have been working on food safety, natural resources management, climatic changes and price volatility, among other challenges. 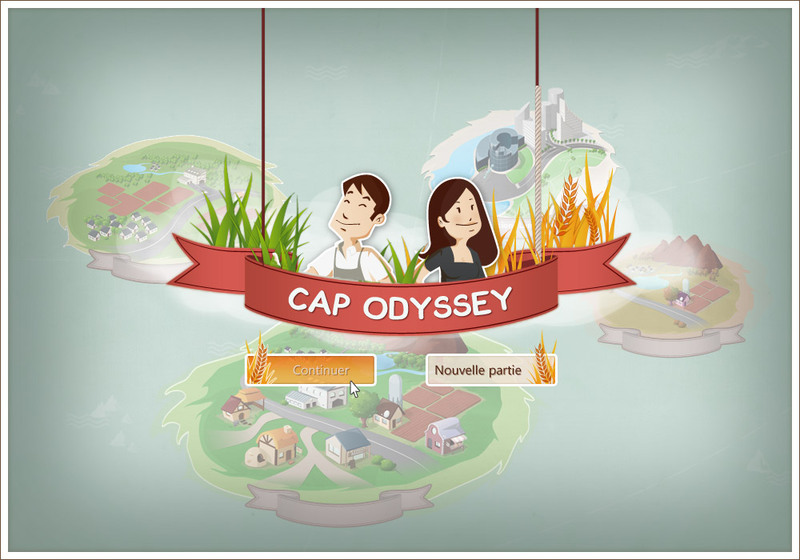 The CAP Odyssey "Serious Game" was created out of a desire to mobilize European citizens on the occasion of two key events: the 50th anniversary of CAP, and its reform scheduled for 2014–2020, offering players better ways to understand what is at stake at the core of Common Agricultural Policy. 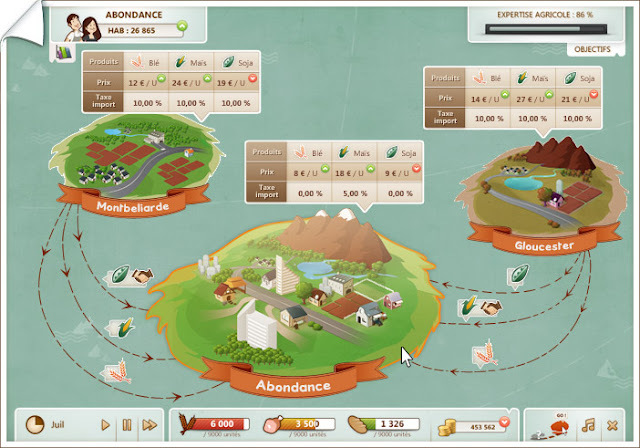 From the farmer’s worries to the regulation tools of the European Union, the game places players in a situation where they can test all the ins and outs of the CAP over the years. Developed by KTM Advance (please find also Serious Games For Operating Room Risk Management), project preparation included a long phase of gathering information from economic experts at the Agricultural Ministry. 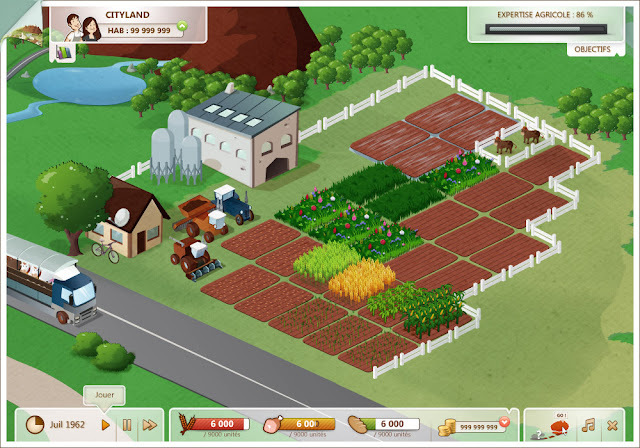 The game begins before the implementation of the Common Agricultural Policy and allows players to familiarize smoothly with the principles of agricultural economy, including production, farmer’s income, investment in farm modernization, price volatility, market crises, food safety, etc. The Cap Odyssey challenge is to manage one’s farm in a sustainable and economically viable fashion, in light of European Union regulations. 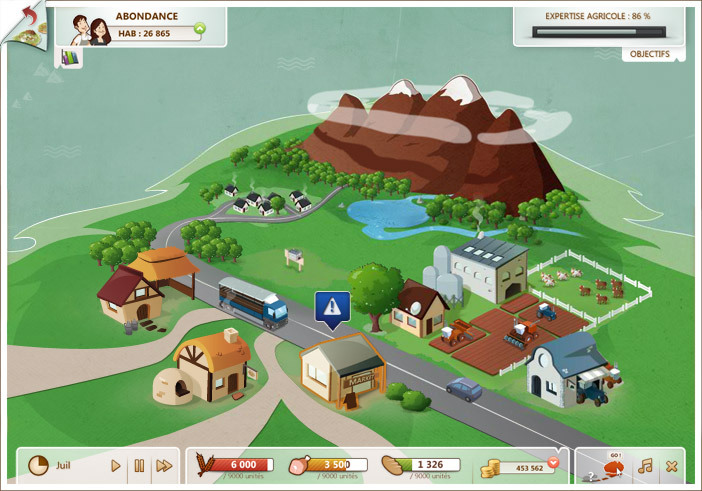 In the game, the small city of Abondance is currently seeing a significant growth and you are placed at the head of a farm. Your mission consists in setting up the agri-food production of the city and you dispose of a period of 5 years to fulfill it! If you succeed, you will confirm your position as agricultural expert and you will be offered other missions. Cap Odyssey’s addictive gameplay can be broken down into seven missions. Easy to use, the game is available online for free in English, French and German, and is primarily intended for non-specialists, particularly young urban people from the European Union.